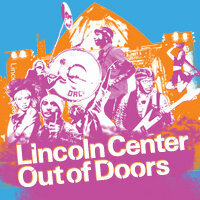 The 2010 season for Lincoln Center Out of Doors has been announced! This year’s Roots of American Music series features Motown and the great Detroit rock sound. There will be performances by Mitch Ryder & The Detroit Wheels, ? & the Mysterians, Los Straitjackets, The World Famous Pontani Sisters, David Johansen, Melvin Van Peebles and a surprise artist. Other highlights include an appearance by Q-Tip on Aug. 4 and a performance of NEU! tunes on Aug. 6 by Michael Rother & Friends. Lincoln Center Out of Doors also features world music, dance and entertainment for kids. Sounds like another great year for Lincoln Center Out of Doors! More Lincoln Center Out of Doors concert listings may be found in the Free Concert Calendar.